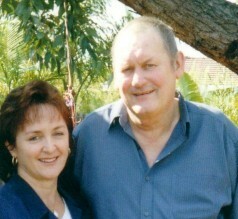 The idyllic lives of Lorraine and Brian Kember were changed in an instant on a warm December afternoon in 1999. 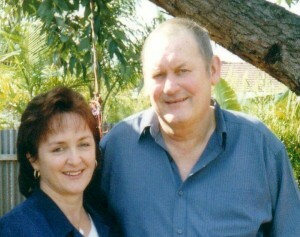 Childhood sweethearts whose children had left the nest, they were relishing the relaxed lifestyle of their coastal home in northern Western Australia when Brian was diagnosed with pleural mesothelioma. “You’ve got three to nine months, I reckon,” the young doctor told Brian. It had been 45 years since Brian had breathed in the deadly asbestos fibres that cause mesothelioma – as a child, aged seven, in the now infamous mining town of Wittenoom. Brian, a keen fisherman, was determined to remain in Exmouth, 1,270km north of Perth, for as long as he could. Lorraine became his primary carer and, without family or cancer support services to help, she very quickly fell on her own resources – and the internet. “Originally, I refused to believe he was going to die. I had always been the one who could fix things, so I got on the internet – I was searching for a miracle. I eventually realised there wasn’t going to be one,” she says. 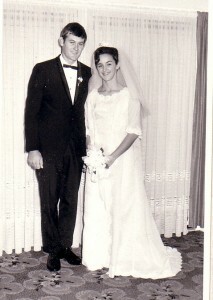 Her journal accompanied them on doctors’ appointments, providing vital information for doctors during Brian’s treatment. “At first I was too frightened to let Brian out of my sight lest he pass away and I would not have the chance to say goodbye. “When I learned about the stages of dying and realized that he would not die suddenly, I could relax a little. I learned more and more about his disease so that I could be one step ahead of it. In this way I was able to deal with the changes emotionally before they happened and be strong for Brian when he needed me most. Brian swung between denial and acceptance of his prognosis. “The hardest thing at that time was that I supported Brian’s need to live in hope at the same time that I was dealing with my own sense of hopelessness,” she says. Lorraine’s diary was to become the heart and soul of her first book, Lean on Me: Cancer Through A Carer’s Eyes. Published in 2004, Lean on Me has sold more than 6000 copies, been translated into Braille and on to audio book, and comes highly recommended by doctors and palliative carers. The success of the book has seen Lorraine become sought after as a public speaker, both nationally and abroad, including an address to 800 delegates at the Global Asbestos Congress 2004 in Tokyo. Lorraine says she has found peace in the knowledge that she made a difference to Brian’s quality of life. Her husband lived not for three to nine months but for two years, bedridden only for the last three days of his life. Her mission now is to help other people deal with the overwhelming impact of caring for a loved one with a terminal illness. She has just finished her second book, Looking Forward, Looking Back: The Grieving Journey, which is a sequel to Lean on Me. Her journey, she says, has come full circle: she now works for a cancer support centre in Perth and gets to touch the lives of people who are in a similar place to the one in which she once found herself.